They guarantee you traction even with the most diffi cult items to be sliced. This design principle ensures long discharge of the cut slices even with small blade diameters. 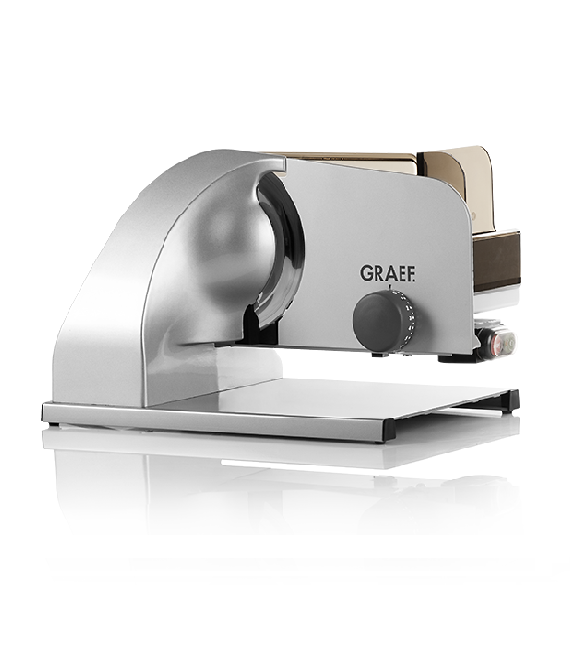 That prevents the slice-products from breaking even with hard and large slicing items. That facilitates cutting directly in a pan or on a tray. That guarantees fast work without delay. The freely accessible surfaces used everywhere – even behind the blade – save work time every day and ensures optimum hygiene. 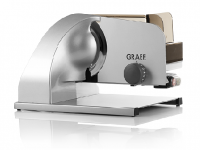 The guaranteed minimum term for spare parts and cost-effective, fast spare parts supply are another plus for GRAEF machines. We are convinced of our quality – so you get a 3 year warranty from us.